As a globally operating company with subsidiaries in all parts of the world, our goal is to help you when needed. Our products are made to perform even under the toughest conditions and are known for their durability and reliability. Quick mobility, quick installation and quick commissioning are main focus, making sure that you get the power you need, when you need it. The modular approach means shorter planning, shorter building and a shorter commissioning time. All cost saving factors are applicable if the plant has to be moved to another location. Our power generation solutions can provide continuous power for base load, peak shaving or act as stand-by supplement to stabilize the existing energy grid. This flexible and modular solution is perfect for governments wanting to save on high rental costs. The sets can be moved when power is needed elsewhere and more power can be added if necessary. Small and large IPP’s* also benefi t from this approach getting the power needed in a quick and scalable way. We can offer our customers a stable and secure power supply, with optional cogeneration solutions. These solutions ensure an optimized production process and improvement of daily business. 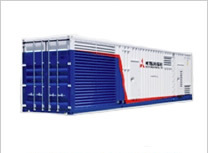 The Mitsubishi diesel and gas engine line up for power generation comprises of engines from 5 kW to 15000 kW**. 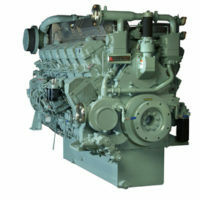 These engines can be found in a multitude of applications. We have a relentless focus on product quality and production management which makes us a reliable partner for a wide range of customers. The packages are built to last and with ease of maintenance in mind, they have easy access points to key components. Be the first to review “ENERGY PACKAGES GAS” Click here to cancel reply.